If you want to see a twin of our healthcare reform battle, try the other side of the Atlantic: England is undertaking the biggest reform of its government healthcare program, the National Health Service, as part of its massive 5-year austerity program. “After a year in parliament, more scrutiny than any bill in living memory, and more than 1,000 amendments in the House of Commons and the House of Lords,” as the Guardian newspaper put it, “MPs cast their final vote for the (reform) bill.” At its heart are plans which will give primary care providers more sway over the NHS’s £106 billion annual budget, and introduce more private competition. British reform moves quicker than ours — the program takes effect over the next 12 months. A major plank of the reform is the NHS Mandate, under which the government will set targets for improvement in 60 areas of care, such as patients surviving after cancer treatment, and medical errors. The goals? Reduce administration costs by one third. So, just to recap, here we have the conservatives championing reform and austerity and the liberals pleading for repeal in opposition to a privatized system and rationing. All of this, of course, is part of the cost-cutting program that some say caused Britain to fall back into a double-dip recession. After the 2010 general election, Prime Minister David Cameron, leader of a coalition of the Conservatives and the Liberal Democrats, initially said that the austerity program would finish by 2015. During this period, more than £80 billion would be raised by spending cuts and tax rises. However, the program was extended to 2017 last fall with further savings £30 billion hoped for. What Would Repeal Look Like? Undeterred, Sen. Orrin Hatch (R-Utah), ranking member on the Finance Committee, said if Republicans gain control of the chamber next year, their efforts to replace the healthcare overhaul will focus on cost control, instead of coverage expansions. Hatch was the author (along with Ted Kennedy) of SCHIP, the largest expansion of taxpayer-funded health insurance coverage for children in the U.S. since Medicaid began in the 1960s. Hatch is in position to lead the committee with primary jurisdiction over federal health policy if Republicans retake the Senate, which Republicans would do if they net only four Democratic-held seats. As evidence of ObamaCare’s inability to reduce overall healthcare costs, Hatch cited the 9.5% increase in the cost of an average family health plan to $15,073 last year over its cost when the law was enacted. The first cost-control efforts he would undertake would come in Medicare and Medicaid, he said. Those steps include increasing physician pay and removing “government-dictated prices” in Medicare that increases costs for the privately insured when providers pass along the cost of caring for Medicare and Medicaid patients. 80,000 was the number. 200,000 is what we need for this to feel like a recovery. And 8.2 is the number that keeps hanging on. The nation’s unemployment rate was unchanged at 8.2% (that’s 13 million unemployed workers) for the second consecutive month, the Labor Department said Friday. Businesses added just 84,000 jobs, while governments cut 4,000. Monthly job growth averaged 226,000 in the first quarter but slowed dramatically to an average 75,000 a month in the second quarter. In response, the Dow Jones industrial average fell 124.20 points to close at 12,772.47, wiping out the Dow’s gain for the week, and Treasuries rose as investors moved their money into lower-risk assets. And the Presidential campaigns took the opportunity to issue a number of extrapolations and the usual host of inaccuracies and overreaches. The Democrats claimed that the unemployment rate has been trending down since hitting 10.10% in October 2009; what they forget to point out is that that’s because of the large numbers of discouraged workers – almost 1 million — who’ve stopped looking for jobs. The Republicans, on the other hand, said that the jobs report proves that the Obama administration’s policies haven’t worked, forgetting that the US was hemorrhaging 700,000 jobs a month when Obama took office. According to Politifact, Obama’s record is 22 consecutive months of private-sector job growth, beginning in Feb. 2010, during which the number of jobs grew by almost 3.16 million, or about 143,000 per month. Putting the candidates aside, the reasons for the anemic job numbers have started to sound like a bad drinking-game song being played by the pundits as they make the circuit of the talk shows: The warm weather drew construction and manufacturing activity into January and February, but dampened spring hiring; the manufacturing sector contracted for the first time in three years in June; retail sales were weak, Corporate profits fell in the first quarter of 2012, the first decline since 2008, according to the Commerce Department; the European Central Bank cut interest rates – a sign of nervousness about their prospects; the end-of-year fiscal cliff sent ripples through the public and private sectors with its specter of higher taxes and reduced government spending; a lame-duck Congress couldn’t pass a Jobs Bill; Republican governors made draconian cuts and instituted public-worker layoffs at the state level; and the Administration didn’t put a big enough stimulus in place which is creating an undertow. Take your pick. So, are there any bright spots? A few. Friday’s report showed ticks upward in average hourly earnings (to $23.50, from $23.44 in May) and the length of the typical private sector workweek (34.5 hours, from 34.4). Also, a curious fact is that the number of teens in the workforce spiked by 140,000 to 4,528,000, or 3.2% of the entire U.S. workforce: So why are teens making out so well in this first month of summer while everyone else, well, isn’t? The Daily Kos reports from 5 May 2012: President Obama’s Jobs program, which is lining up commitments from the private sector and from government to create summer jobs and internships for young people, has announced commitments for 90,000 paying jobs, up from the 70,000 previously announced in January. Apple’s iconic co-founder and CEO Steve Jobs, who altered the habits of millions by reinventing computing, music and mobile phones, has died at the age of 56. 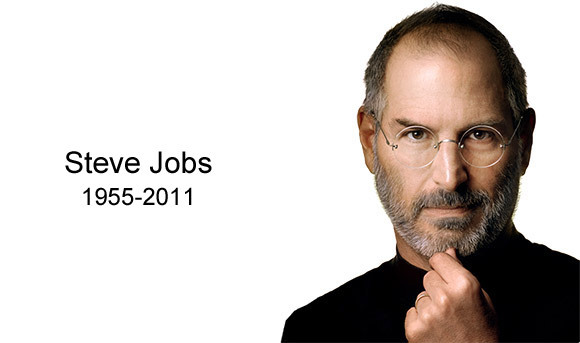 With Jobs’ passing, Apple has lost a visionary leader who inspired personal computing and products such as the iPod, iPhone and iPad. In the world of medicine, the iPad has made a significant impact. Chilmark Research estimates that 22% of United States doctors are using iPads as of the end of 2010. A survey by Aptilon indicates that 80% of the remainder plan to buy an iPad sometime in 2011. These innovations made Jobs one of his generation’s most significant industry leaders. His death, following a long fight with a rare form of pancreatic cancer and a liver transplant, set off an outpouring of tributes as world leaders, business rivals and customers mourned his early death and celebrated his historic achievements. With Medicaid due to cover millions of uninsured Americans in just three years, state funding cuts may undermine how much care the government-run healthcare insurance program for the poor will offer new enrollees. As many as 24 states plan to slash a minimum of $4.7 billion from their Medicaid plans thanks to four years of budget shortfalls, according to data provided by the nonpartisan Center on Budget and Policy Priorities and Families USA, a consumer-advocacy group. The cuts might include reductions of as much as 15 percent in reimbursement rates for physicians, hospitals and other care providers, higher co-pays for beneficiaries, including children, and the loss of optional benefits, including preventive care as well as dental and vision services. Some states plan to restrict eligibility under enhanced Medicaid plans that offer services beyond the basics. “The provider rate cuts are going to mean that fewer providers will offer Medicaid services by the time we get to 2014, and that’s bad. It pulls in the opposite direction of where healthcare reform’s trying to go,” said Mike Leachman of the Center on Budget and Policy Priorities. As Congress works to cut the federal deficit to meet a November deadline, additional cuts to the $427 billion Medicaid program also are likely. Medicaid is funded jointly by federal and state governments but administered by the states with federal oversight. The growing pressures mean access to healthcare services under Medicaid may be restricted, despite its role in expanding health coverage to 32 million more people under President Barack Obama’s Patient Protection and Affordable Care Act (ACA). Medicaid and the Children’s Health Insurance Program (CHIP) are expected to add 17 million uninsured Americans starting in 2014, when the ACA requires that a majority of people carry health insurance. “We do see a lot of rate cuts,” according to a senior administration official. “Some of them are going to be more temporary, some of them are going to be more permanent. Some of them are going to hold and some of them may not hold based on access concerns. We ought to proceed in a thoughtful way, both we at the federal level and states at the state level,” the official said. Already, 10 states have passed laws that cut reimbursement rates for either inpatient or outpatient children’s services provided by Medicaid. Another nine states have passed laws that will cut children’s access to healthcare or erect new barriers to obtaining coverage. Illinois, for one, has a two-year moratorium on expanding Medicaid and limited eligibility for CHIP to 300 percent of the federal poverty level. Indiana slashed its standard for CHIP to 250 percent of the poverty line. Other state laws want agencies to seek waivers from federal eligibility requirements. The American Academy of Pediatrics is concerned that some of the aspects of the debt-ceiling proposal will make it into the final cuts for this reason: “Children make up half of all Medicaid enrollees. It is a lifeline for kids in low-income families and children with special healthcare needs, such as those with congenital heart diseases, spina bifida or cerebral palsy,” said O. Marion Burton, MD, the academy’s president. The upside is the fact that Medicaid, as well as Medicare and Social Security, remain popular with the public, according to a recent Pew Research Center survey. Not surprisingly, there is also a downside. The number of adult Americans who have health insurance declined in 2010, according to the National Center for Health Statistics, a division of the Centers for Disease Control and Prevention. Americans of all ages who were uninsured at any point during the last year totaled 60.3 million in 2010, an increase of almost two million when compared 2009. Private healthcare coverage declined, while public coverage rose, especially for children. Of non-elderly adults, 61.1 percent had private coverage in 2010, a decline of 1.7 percent. The percentage of privately covered children fell by 1.9 percent to 53.8 percent. Fewer children in general lost coverage, because the percentage of children in Medicaid and the Children’s Health Insurance Program rose to 39.8 percent. The uninsured rate for those earning 100 to 200 percent of the federal poverty level rose to 43 percent in 2010. “The life you live trains you for the life you’re going to lead.” This is the opinion of Michael Lee Stallard and Jason Pankau, partners in E Pluribus Partners, the world’s leading experts on how rational and emotional connections can boost productivity, innovation and organizational performance in the workplace. Respect – When we are with people who are condescending, patronizing, passive-aggressive or who look down on us in some relational way, there is a negative emotional impact. No one can thrive in that kind of environment, because humans need a basic level of respect in the workplace. Recognition – We rely on the interactions of people around us to recharge our internal batteries. Authentic, positive affirmation – not false – is the most effective. Otherwise, employees are drained of energy. Sense of belonging – Everyone needs people who have our backs and who are trustworthy. These people help us live up to the values that we aspire to, support us and are with us through the ups and downs of life. Autonomy – This gives us the freedom and flexibility to do our work free of bureaucratic red tape and without the presence of over-controlling personalities. Autonomy allows us to master our tasks and assists with personal growth. A challenging environment – When people are over challenged, they are stressed; conversely, people are bored when they are not challenged. When work provides the right degree of challenge, people are so immersed in the task at hand that time flies and it is energizing. Need for meaning – People typically derive meaning from work that is consistent with a mission that is important to them. Additionally, they find meaning in the relational connections they have in the workplace; this provides a connection with their personal life. Leading hospitals across the country recognize the need to create connections between management, physicians, nurses, staff, patients and – importantly – their families, because it positively impacts the quality of care and medical outcomes. A primary proponent of fostering connections in healthcare environments is Herb Pardes, M.D., a psychiatrist who is president and CEO of New York-Presbyterian Hospital and New York-Presbyterian Healthcare System. Other hospitals that are proactively creating workplace connections are the Yale New Haven Health System and the Cleveland Clinic. To sign up for Michael Lee Stallard’s and Jason Pankau’s newsletter and receive a free digital download of their book, click here. To listen to Michael Lee Stallard’s and Jason Pankau’s full interview on happiness in the workplace, click here. The Food and Drug Administration (FDA) has concluded that years of warnings about the dangers of smoking cigarettes, the availability of nicotine patches and gum has not worked. Instead, the FDA is proposing to put gruesome images on cigarette packs that warn of the consequences of smoking. Tobacco is the leading cause of early and preventable deaths in the United States, accounting for 433,000 annual deaths and approximately 33 percent of all cancer deaths. The healthcare reform law provides free access to anti-smoking therapies; the stimulus bill included $225 million to support local, state and national anti-smoking programs. The proposed images, which include one of a man suffering a heart attack and another of a mother blowing smoke in her baby’s face, would cover half the front and back of each pack if adopted. “When the rule takes effect, the health consequences of smoking will be obvious every time someone picks up a pack of cigarettes,” said Margaret A. Hamburg, FDA Commissioner. The FDA plans to choose nine images by June 22. After October 22, 2012, cigarette manufacturers who refuse to put the new warnings on their product will be banned from selling their brands in the United States. Anti-tobacco activists applauded the move. “In implementing the new warnings, the United States is catching up to scientific best practices,” said Matthew Myers of the Campaign for Tobacco-Free Kids. Older Americans tend to be sicker than their British counterparts. Once they celebrate their 70th birthdays, however, Americans can expect to live longer. This is one finding in a study conducted by RAND Corporation, the California-based research institute. American longevity could be due to their country’s expensive healthcare system, said James P. Smith, a Rand economist and demographics expert. “We actually get something from it,” Smith said. “We are sicker than the English and we have to spend a lot.” Apparently, all those expensive tests “diagnosing chronic illnesses early, and how aggressive we treat those things” make the difference. Healthcare spending in the United States ate up $2.3 trillion in 2008 – comprising 16 percent of the total economy. By contrast, British healthcare spending was just 8.7 percent of that nation’s significantly smaller GDP. According to James Banks, an economist at the Institute for Fiscal Studies in London, mortality rates for cancer and stroke are higher in Britain than in continental Europe. Healthcare spending in Europe is “a few percentage points higher” than in Britain. Healthcare rationing is another issue. “There is more rationing in the U.K. than there is here,” said Dr. Peter A. Meunnig, a health policy expert at Columbia University’s Mailman School of Public Health. According to Banks’ study, Americans in their 70s were twice as likely to have cancer and diabetes as their British counterparts. Americans were also more apt to have high blood pressure, heart disease, heart attacks, strokes and chronic lung disease. In both countries, the groups studied were older, white and had insurance coverage. Banks believes that more healthcare is “focused on the elderly” in the United States than in England, although this may be changing. “The (British) government in recent years has been targeting cancer, heart disease and stroke,” he said. The American College of Healthcare Executives (ACHE) tested the waters of how its members feel about the Affordable Care and Patient Protection Act by conducting an in-depth survey. The primary finding is that hospital executives are reacting to healthcare reform by slashing expenses. Their goal is to bring their per-patient costs into line with Medicare payment levels. Based in Chicago, the trade association for hospital and healthcare system executives, queried 539 CEOs and learned that more than 75 percent plan to cut per-patient costs. Additionally, they intend to study means to avoid penalties for preventable readmissions over the next year as a response to the healthcare reform law. Approximately 72 percent of executives who took the survey plan to build closer relationships with physicians so all can benefit from incentives for care coordination, enhanced quality, patient safety and reduced costs. Another 68 percent plan to apply for subsidies through the American Recovery and Reinvestment Act to purchase electronic health record systems. Fully two-thirds are investigating ways to prevent infections and avoid penalties. Almost 50 percent of respondents plan to look into ways to decrease the average patient stay or partner with community organizations to promote wellness.